An accounts receivable manager will be responsible for ensuring their team keeps client accounts running smoothly. This is a vital role, and as such businesses should take time to make sure the person they recruit is someone who will do the job to a high standard. Portfolio Credit Control has many years of experience in helping companies choose the best applicants for the credit control vacancies, as well as someone who will fit in on a personal level. As this is a senior position, you will be looking for candidates to really stand out and show why they are the best option for your company. Their working history will reveal a little about their passion for the industry. Quick career progression and a strong track record is a hint that they would thrive in your accounts receivable department. The successful applicant will also possess some kind of formal qualification, such as that awarded by the Institute of Credit Management (ICM). Of course, they will also lead by example, meaning their mathematical and organisational skills will be of the highest standard. This role will involve a lot of multitasking on a day-to-day basis, and in a credit control department it is essential that nothing is overlooked. It is important not to forget that any manager’s primary task is to work with a team of people, so whoever you choose to head up your accounts receivable team must have excellent interpersonal and communication skills. They must be able to motivate their team, while also communicating with clients and other senior members of the credit control department. 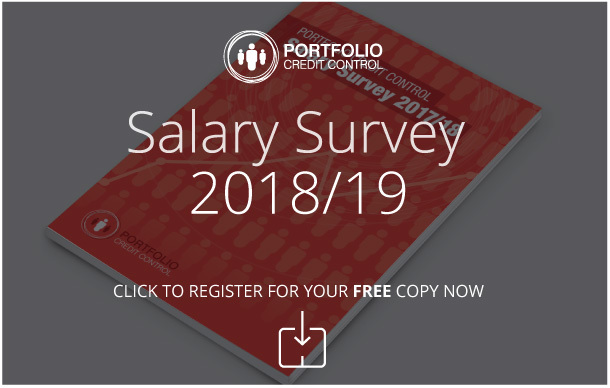 Portfolio Credit Control has cultivated an excellent reputation for helping companies find staff across a range of roles, including accounts receivable and accounts payable vacancies. We will assign you a dedicated recruitment consultant who will help you throughout the process, simplifying your search for the top candidates. We pick out those who would be best suited to your organisation and send only the best on to the interview stage. This leaves you with a high quality selection to choose from, and the final decision rests with you. Call Portfolio today and ask about our recruitment services.